Faces of Loss, Faces of Hope is all about connection. Hopefully, through our website (and facebook page), you’ve been able to connect with other parents with stories similar to yours. While connecting online is great, there is still something really special about making a face-to-face connection with someone who ‘gets’ what it’s like to lose a baby. Face2Face Friendship Groups are not meant to be formal ‘support groups,’ but rather simple gatherings of friends who share a deep common bond. Groups of friends hanging out, enjoying a meal or a cup of coffee (or tea! Or wine! ), and talking about their babies. Please scroll down to find a listing of current Face2Face Groups. If you don't see a group yet in your hometown, you can always start one! Click here for more information, and here for the application form. If you have any questions, please contact Angie, our Groups Coordinator at f2f.orangecounty@yahoo.com. *Please note: this directory is being continuously updated as Group Leaders sign up and send in their meeting details. If you happen to find a listing that is missing information it is because we have not yet received it from the Group Leader. Please keep checking back for up-to-date information! Location: Various locations; Meetings will take place on Saturdays. Please email or call the Group Leader for more information. Group description: Face2Face Brisbane Southside is a group for "babyloss" mothers (and fathers) on the southside of Brisbane. We will meet monthly at a To Be Determined location, generally a coffee shop or park (weather permitting). If you live in southern Brisbane or in Logan City and have lost a child/ren, we'd love to meet you and plod along together through this sucky thing called "grief". No matter if your day is great or if your day is horrid, this is a safe place to befriend others who understand what it is like to live each day without your precious child. Please RSVP by emailing the Group Leader or on the Group’s facebook page. Group description: Face2Face Edmonton is a group for "babyloss" mothers (and fathers) in and around the Edmonton area. We hope that in meeting other parents who have lost a child and forming new friendships with them, it will help us to heal and know we aren't alone in this journey through our grief. Please RSVP by emailing the Group Leader or through the Group facebook page. Group description: Face2Face N. AL is a social group for baby loss parents. These social events are ways that we can get together, be amongst others that understand our pain, and be in a safe environment to freely talk about our little ones. Please RSVP through the Group facebook page. Location: Various locations; Please contact the Group Leader for meeting information. Group description: Face2Face North Little Rock is an informal group for women who have exprienced a loss of a child. We hope to create a supportive place to make lasting friendships, grieve, and to talk about our losses without shame. Please RSVP by emailing the Group Leader and/or on the Group's facebook page. Location: Various restaurants; The Group will be meeting the last Friday of each month. Group description: We will meet to talk, laugh, cry, goof-off, whatever we may need at that point and time. Women who have suffered loss at anytime in their lives are welcome (miscarriages, stillbirths, infant loss). Please RSVP by emailing or calling the Group Leader, you can also RSVP on the Group's facebook page. Group description: Face2Face Ventura County is a support group for women who have been through any kind of pregnancy or infant loss, serving Ventura County including Conejo and Simi Valley. We will meet to offer each other support, build friendships and give back to the community in honor of our lost children. Please RSVP by emailing the Group Leader, you can also RSVP on the Group's facebook page. Location: The first meeting will be held on February 4th at 7pm, at Blue Frog in Fairfield. Group description: developing lasting friendships with other mommies who "get it"
Location: The first meeting will be held on February 6th at 1pm at the Coffee Bean and Tea Leaf in Sierra Lakes in Fontana. After the first meeting, the Group will come up with more meeting and activity ideas. Group description: Face2Face Los Angeles will be a place were all mothers can meet and spend time with their peers. It will be nice to have a night out and be able to openly speak about your feeling what ever they may be. Location: Various restaurants throughout Orange County; We'll be meeting for dinner on the 2nd and 4th Fridays of each month. Please email the Group Leader or check out our Group facebook page for more information. Group description: Face2Face Orange County is a group for women who want to make lasting connections and friendships. This group is a safe and supportive place to grieve and talk about our babies while having fun together. Location: Various locations; The Group will be meeting on the first Wednesday of each month. Contact the Group Leaders and/or check the Group facebook page for more event details. Group description: Face2Face Denver is a social group that has been created for all moms who have experienced a pregnancy or infant loss, we will meet on a monthly basis in the Denver area. The goal of this Group is to have a safe, loving and fun environment for moms to share their journeys of grief, hope and just plain old girl talk. We hope that deep friendships and support networks emerge from this Group. Come and hang out in a welcoming and fun environment with women who all share a common bond! RSVPs are not required at this time. Location: Please visit the group’s Facebook page or email the Group Leader for meeting details. As the group grows we will do different things to accommodate everyone’s interests. Group description: This is a social group for Orlando families who have experienced miscarriage, stillbirth or infant loss. We are here to connect, find friends and celebrate our beautiful babies. Please RSVP by contacting the Group Leader or through the Group facebook page. Group description: To give friendly support to women who have experienced any type of pregnancy or infant loss. Group description: A safe and welcoming environment for the support and friendship of mothers who share a common bond. Group description: Face2Face Valdosta/Lowndes County is a group for women who want to make lasting connections and friendships. This group is a safe and supportive place to grieve and talk about our babies while having fun together. RSVPs are greatly encouraged. Please email or call the Group Leader to RSVP. Group description: This group will allow for BLMs in Columbus, GA to gather together and build relationships with those that are on the same journey. Group description: Ideally, we would meet twice a month. One meeting would be for discussions (ie, sharing coping ideas, talking about the grief process, sharing poetry, books, etc.) and the other meeting would be more of an informal get-together where we could just chat over coffee. Please RSVP by emailing the Group Leader, you can also RSVP on the Group facebook page. Location: Various locations; The Group will be meeting on the on the 1st and 3rd Friday of each month at 7pm. Please email the Group Leader if you’re interested in attending. Group description: If you have experienced the loss of a baby and would like to connect with others on your journey through grief, this group is for you. Your loss may be recent or not. You may be a mother or a father. All are welcome. Group description: Face2FaceDMM is a group for the babylost. We'll laugh, we'll cry, we'll eat, we'll drink, we'll talk about our babies and our grief openly and without shame, and we'll hopefully form lasting friendships with others who "get it." Please RSVP by emailing or calling the Group Leader or through the Group facebook page. Location: Overland Park Church of Christ, Room 104, 13400 W. 119th Street, Overland Park. We will meet on the 2nd Thursday of the month at 6:30pm. Group Description: Anyone who has suffered the heartbreak of losing a baby knows how difficult the healing process can be. The purpose of this group is to offer support and encouragement to women who have experienced the loss of a pregnancy through miscarriage or stillbirth. This group is open to any woman who has suffered the loss of a baby to miscarriage or stillbirth regardless of age, sexual orientation, race, religion or marital status. The group is facilitated by two mothers who have lost babies to miscarriage and stillbirth, Morgan Parker and Carri Dunn. Group description: Our Group will be a group of women who can form close friendships and help each other through the process of grieving. We will all be in different places with our losses and can help each other through process. Please RSVP by email the Group Leader, you can also RSVP through the Group's facebook page. Location: Please email the Group Leader if you’re interested in attending (date, time and location TBD). Brief description: This group is for women who has suffered pregnancy or infant loss to have a safe, compassionate and supportive enviornment. Our goal is to encourage long-lasting friendships. We will have a mixture of informal and formal meetings. Location: Meetings will be held at 7PM. The Group Leader is currently waiting to hear back from a local church to see if they will allow our group to use their meeting room. 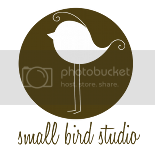 Group description: A place where Angel Mommy's and Daddy's can feel safe to talk about their losses of miscarriage, stillbirth, and/or infant death. Please RSVP by emailing the Group Leader. Location: Various locations; Meetings will be held during the last week of each month in the evenings. Please email the Group Leader if you’re interested in attending (date, time and location TBD). Check the Group facebook page for meeting information. Group description: We are an informal social group of women who have experienced either a pregnancy or infant loss. We hope that by meeting together Face 2 Face we can support and encourage each other with compassion and understanding. We hope you will join us. Location: Various locations; First meeting will be on Feb 13th at 1:30pm, please email the Group Leader for more information. Dad's are welcome, too! Group description: Face2Face Vicksburg/Jackson is a safe place for mothers and fathers to talk about the feelings, fears, and hopes that occur after pregnancy and infant loss. Our goal is to be supportive and non-judgmental to one another while making new friendships and having a little fun. Group description: We are a social group for women who have lost a child through pregnancy or infant loss at any stage. We will have regular meetings and get-togethers to support each other. If anyone is interested in meeting up with the Las Vegas Group please email the Group Leader so she can get a better idea of what works for everyone. We can have a first meeting to decide on activities & workshops! Location: Various restaurants; The first meeting will be held on Thursday, February 3rd at 9am at Denny's on Maple Avenue near the Boulevard Mall in Amherst. Please email the Group Leader if you’re interested in attending. Group description: This group will be a place where you can come to gain support from other women who are experiencing grief from the loss of a child. I hope for it to become a gathering of close friends who trust and encourage each other on our journey. The Group will be meeting on the second Thursday of each month. Please contact the Group Leader for more information. Group description: This a peer support group for families in the Cincinnati area suffering a loss of a baby due to ectopic pregnancy, miscarriage, stillbirth or infant death. Whether you lost a baby/babies days, months or years ago, come join us. There is no time limit on grief. Location: Please email me if you are interested in attending our first meeting (date, time and place TBA). We are a new group and look forward to your participation! Group description: Face2Face Dayton, Ohio is a local informal support group for women in Dayton/Kettering/Centerville and surrounding areas. We meet to provide an opportunity for women who have suffered through miscarriage, stillbirth or infant loss to connect and share our stories, our grief, our joy and our hope. Meetings will be primarily social in nature and can include various activities such as: sharing resources, reading books/articles, meeting for dinner, etc. Our goal is simply to provide a place to go to talk with other women who are on the same journey. Location: Meetings will be held every 2nd and 4th Sunday of each month, and their locations will be announced on the Group's facebook page. RSVPs are encouraged but not required. You can RSVP by emailing or calling the Group Leaders or on the Group's facebook page. Group description: A friendship group is forming in the area for those of us that have had to say goodbye to our babies and we would love for you to join us! Come hang out and spend some time with others that can relate to how you’re feeling. This is meant to be an informal gathering, not an official support group. We want to create a support system for our Baby loss Mom’s (and Dad’s!). Please RSVP by contacting the Group Leaders or through the Group facebook page. Group description: A social group that serves to connect women who have endured a pregnancy loss at any stage. The group will provide support and mutual encouragement for those who attend. RSVPs are encouraged, but not required. You can RSVP by contacting the Group Leader. Location: Various locations; Please email the Group Leader if you’re interested in attending our first meeting (date, time, and location TBD). Group description: Face2Face Williamsport has been launched to connect baby loss moms in the Greater Susquehanna Valley, and allow us to come face to face with other moms to connect, to share and to encourage as we walk this road together. I hope, that in the very near future we are able to also launch a Face2Face Group for Dads here in the Williamsport area. Location: Various restaurants and coffee shops; Please email the Group Leader if you’re interested in attending our first meeting (date, time, and location TBD). Meetings will be held monthly. Group description: This group is for women in the Indiana area who have experienced any kind of pregnancy or infant loss. It will be a very informal setting in which we can support each other through the grieving process whether it be through tears, laughter, encouragement, or just plain talking! The goal of this group is for us to talk face to face about whatever is on our minds and to have some fun in the process! This group will hopefully form lasting, supporting friendships and will hopefully feel like a safe place to be yourself. RSVP is encouraged, but not required. Please RSVP by emailing, calling or texting the Group Leader. Group description: Face2Face Philadelphia Suburbs is a local social group for those who have suffered any type of pregnancy or infant loss. We will meet monthly throughout the five county area: Montgomery, Bucks, Delaware, Chester, and Philadelphia. Our goal is to encourage long-lasting friendships, and to provide a place for safe and open grief sharing in a safe and supportive environment. We will be very loose and informal. Please email or call the Group Leader to RSVP, you may also RSVP on the Group's facebook page. Group description: Our group is a place for women who have experienced pregnancy or neonatal loss to connect with others in a supportive and compassionate environment. We hope to guide each other in friendship through the road that lies ahead. Please RSVP by emailing or calling the Group Leader. Nashville/Davidson County - Face2Face Friends Nashville/Davidson Co. Location: Please see the Group facebook page to or email the Group Leader for meeting information. RSVPs are encouraged, but not required. Please RSVP by emailing or calling the Group Leader, you can also RSVP on the Group facebook page. Group description: This group is designed to come face 2 face with other baby loss moms in your local area, to connect, to share, to walk this road together. I hope to do lots of things once the group gets going, e.g., meet at restaurants or coffee shops, read books as a group, fun activities etc. I am so excited! Please email the Group Leader to RSVP. Group description: A group that meets monthly in the Rutherford County area for moms of all loss regardless of how long ago. We plan to meet at Starbucks until we feel comfortable moving the group to my home or some of the other girls homes. I would like to see one spin off of the group be a book club if enough of the girls are interested in that. If not a book club maybe some other type of gathering while we talk like scrapbooking or bead making… I am open to whatever talents the girls have to offer. RSVPs are not required but greatly encouraged. Please RSVP by emailing or calling the Group Leader up to 24 hours in advance. Group description: This group is going to be a non-formal, fun, real gathering of ladies who have experienced the loss of a child. I just want it to be a group where pretty much anything goes. RSVPs are not required but greatly encouraged. Please RSVP by emailing the Group Leader. Location: Various locations in the Southwest Houston Area (Sugar Land, Missouri City, Stafford, and Richmond); Please check the Group Facebook Page or email the Group Leader if you’re interested in attending our first meeting (date, time, and location TBD). Group description: Face2Face Southwest Houston is a local group for women who have suffered any type of pregnancy or infant loss. This group will provide a safe supportive place for members to discuss their loss and feelings with others who share their experiences. We will be meeting twice a month at various locations such as coffee shops, restaurants, and parks. Meetings will include grief and support sessions as well as fun and uplifting activities like book club days, craft days, and pamper yourself days. Our goal is to encourage long-lasting friendships, and to provide a place for safe and open grief sharing in a supportive environment. Please RSVP for each meeting by emailing or calling the Group Leader or through the Group Facebook page. Please RSVP by emailing or calling the Group Leader, or through the Group facebook page. Group description: Face2Face Mid-Cities is a local social group for women who have suffered any type of pregnancy or infant loss. We will be meeting the First Sunday of every month, more if need in the Mid-Cities Area at various locations such as coffee houses, restaurants, and parks. Our goal is to encourage long-lasting friendships, and to provide a place for safe and open grief sharing in a supportive environment. Please RSVP to learn where the meetings will be held by emailing or calling the Group Leader. Group description: Face2Face Northwest Houston is a group for women looking for a safe and supportive place to grieve and talk about their losses without shame. We will be meeting on a regular basis, some meetings may be more support group like while others will be for fun. We will announce in advance which meetings will allow children and which ones will be child free. We understand that while grieving the loss of a pregnancy or child that other children may bring more pain to your situation, however, we also understand that finding and affording childcare can also be burdensome. RSVPs are encouraged, but not required. Please RSVP by emailing or calling the Group Leader. Location: The first meeting will be held on Friday, Feb 18th at 7:30pm at Olive Garden in the South Towne Mall in Sandy. Please RSVP by emailing, calling or texting the Group Leader. Group description: Face2Face of the Northern Shenandoah Valley is a group where women who have suffered any type of pregnancy loss, or infant loss can meet and find support. We will be meeting at various locations around the Front Royal / Winchester area. Location: The Group's nextt meeting will be held on Saturday, April 9th at 1pm at The Cheesecake Factory in Virginia Beach. All following meetings will rotate between the Peninsula and the Southside. Please RSVP by emailing or calling the Group Leader or through the Group's facebook page. 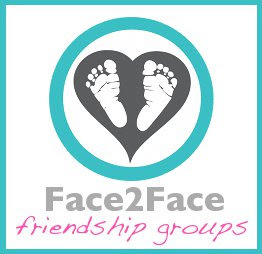 Group description: Face2Face Washington D.C. is a local social group for women who have suffered any type of pregnancy or infant loss, who live in Northern Virginia or surrounding areas. We will be meeting every 4th Friday in or around the D.C. metro area. We will be meeting at various locations such as coffee houses, restaurants, and parks. This group was created for Mother's of Angels to come together in friendship and grief. We hope you will join us each month, to meet with others who can relate to the feelings you have. Through our experiences we can make everlasting friendships and lean on each other for support. Location: Various locations; Meetings will be held monthly. Please email the Group Leader if you’re interested in attending our first meeting (date, time, and location TBD). Group description: Face2Face Mercer County is a support group of caring and compassionate people for anyone who has experienced a miscarriage, stillbirth, or the loss of an infant. Group meetings will allow opportunities for members to share the experience of their loss (if they wish), opportunities to talk about our babies, and resources for handling grief. The loss of a child is something you never get over, but my hope is that our support group will help you get through the loss of your child, by leaning on others who have experienced a similar loss. Together we can help each other through the rough times, celebrate the good times, and honor the memories of our children by helping each other. RSVPs are encouraged but not required, last minute RSVPs are okay. You may RSVP by contacting the Group Leader. Location: The first meeting will be held in the end of February 2011. Please email the Group Leader if you’re interested in attending our first meeting (date, time, and location TBD). 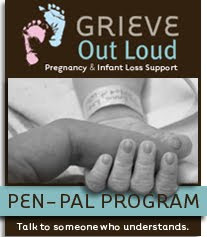 Group description: This group is for those who have experienced pregnancy or infant loss. Everyone is welcomed to join our group of supportive, caring individuals who know this heartbreak first hand. We will have monthly group meetings, times and dates TBA, at various meeting spots around the Huntington Tristate area. My goal for this group is to be a safe place for people who have experienced this type of loss with support of people who know what you are going through. While the loss of a child is never something you get over, I hope that our group can be there for you to make it through the rough days and hopefully be part of your good days as well. RSVPs are encouraged, but not required. Last minute RSVPs are okay. Please RSVP by emailing or calling the Group Leader or through the Group's facebook page. Group description: Face2Face-Madison is a social group for women who have suffered the loss of a child (miscarriage, stillbirth, infant loss, etc.) The goal is to connect, bond, and hopefully, gain life-long friendships with those who truly understand and support the "new" you. Please RSVP by calling or emailing the Group Leader.